As it turns out, dining at one of the city’s fanciest restaurants doesn’t mean you have to order something you can’t pronounce. Black truffles and pancetta give it a touch of class, but at its cheese-packed heart, Mr. A’s rendition is still all about comfort. Of course, that doesn't mean it wouldn't go nicely with the rack of lamb. 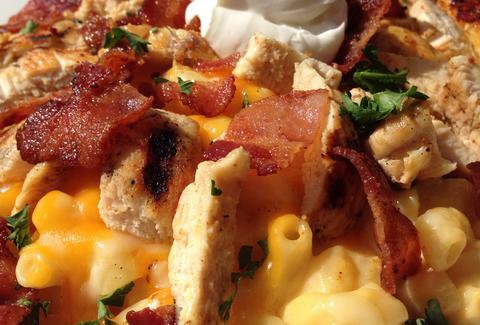 The Southern Mac N Cheese at Cali Comfort is more of a quest (a heart-stoppingly tasty, cheesy quest) than a dining experience. And if the cheesy macaroni, blackened chicken, and bacon topped with sour cream don’t land you in the hospital, you can tempt fate and follow it up with another Southern staple: homemade peach cobbler. 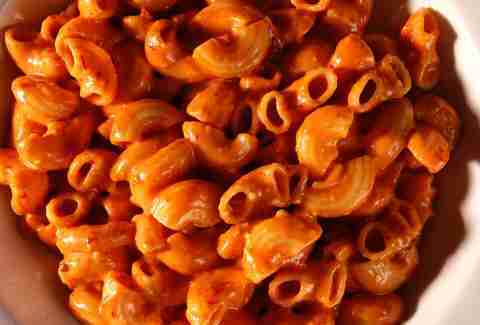 Macaroni 'n cheese: great. 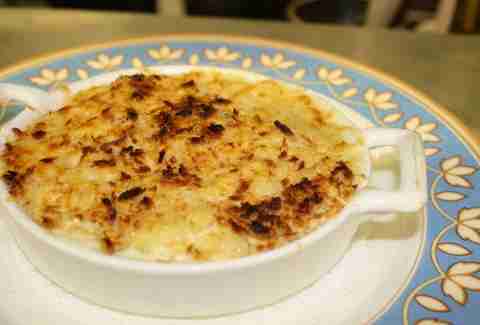 Macaroni 'n cheese with booze in it: even better. 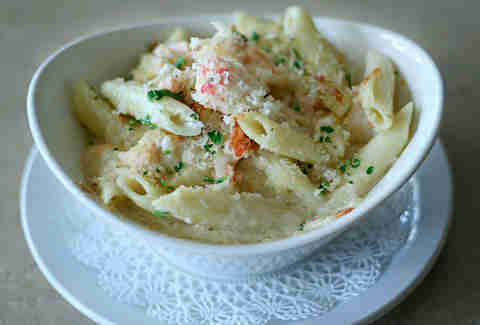 Between the brandy sauce, lobster, and three different cheeses, we’re willing to overlook the use of penne in lieu of elbow pasta. It's still pasta and cheese. It counts. Urban Solace is all in on the comfort-food-with-a-twist thing: The Lobster Pot Pie, Not Your Momma’s Meatloaf... but you'd be remiss to head here and not order up a skillet of the Duckaroni, with a creamy, breadcrumb-topped richness that will take you right back to childhood, that is if your childhood consisted of your mom fancying up your mac 'n cheese with finely prepared game birds. 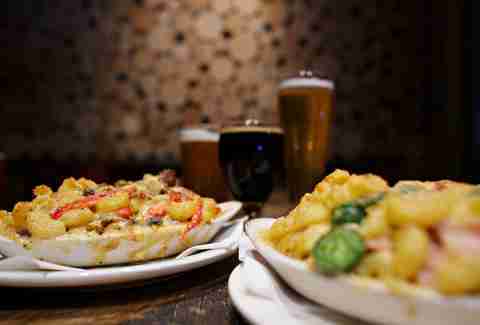 Just a few blocks from Urban Solace, the folks at Toronado are perfecting their own duck-less version, and while there's a tasty and traditional version available, do yourself a favor and try the Spicy Mac and Cheese. Passilla peppers, chipotle, and habañero should help you sweat out some of the calories. Bonus: there are 50-plus beers on tap to pair with it. 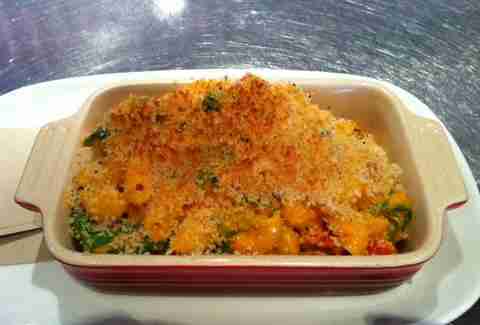 Choose from one of any nine different Mac n’ Cheese recipes or build your own at the appropriately named Sublime. Serendipity, Infatuation, Ecstasy, Jubilation -- there’s one for virtually every mood. 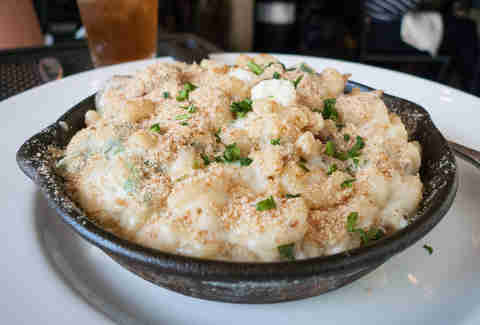 Our vote, though, goes to Rapture -- a fusion of classic mac ‘n cheese mixed with pulled pork and carmelized onions. Now that the hard part is over with, all that’s left to do is choose a size -- Dig It, Love It, or Crazy for It. 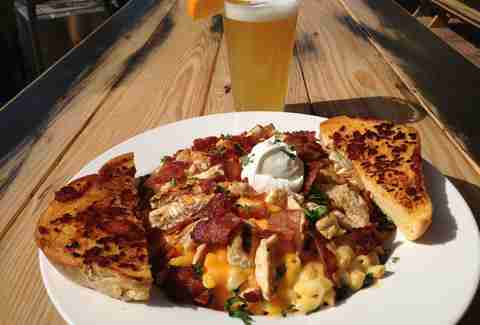 It's not too surprising that a place named after an infamous sea captain would impart a little ocean into its mac 'n cheese. Shrimp, smoked bacon, Gruyere, aged cheddar, and baby spinach collide for this highbrow version of your grandmother’s staple. There's a lot going on, but it all works together in salty, creamy, shrimpy harmony.